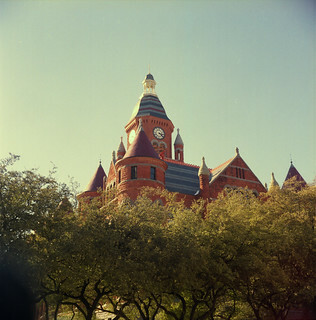 Got my test roll from the Rolleicord developed yesterday. I was pleasantly surprised to find the camera works very well. I feared the shutter might be a tad too slow and thus blow the image out, but that was not the case. Yes, in fact the only problem with the camera was human error. Never having used a TLR before this it did not dawn on me till halfway through the roll that the shutter release I was using put my hand over the lens. So that lower left corner (part of the shutter release cable) ruins what would have been an awesome picture.